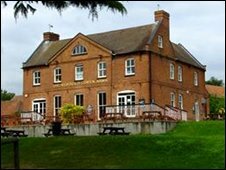 The squadron will be celebrating the achievements of 2011 at their annual dining-in night at The Newbold Comyn Arms on Friday 24 February 2011. Our Principal Guest of Honour will be west midlands entrepreneur Sir Peter Rigby, a former Air Cadets and the new owner of Coventry Airport. The Civilian Committee are subsidising this event so the cost for cadets is £10 to include a three-course silver-service dinner and drinks. Places are strictly limited, so early bids for tickets should be made. All cadets, staff and committee members have been invited by email, and the bidding process (including voting for the menu selection) is done online. These bids should be followed up by payment (£10 cash or cheque) to the squadron office by Wednesday 8 Feb latest. NB: As a 'Dining-In Night' is a formal parade, this one will replace the normal routine parade on Sunday 26 Feb.